Dry, dehydrated skin can look dull and sometimes flaky. Darphin’s hydrating formulas are deeply moisturising, quenching your skin’s thirst and banishing rough, flaky skin. The bestselling range will improve your skin’s ability to retain moisture and shield it against external aggressions - so that your skin feels and looks hydrated, plumped and glowing with health and vitality. 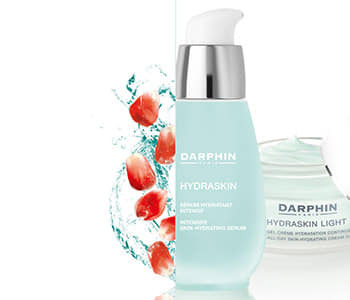 Go on quench your skin’s thirst with Darphin’s hydrating range!